Big Brother Naija Housemate, Bisola has said, she has done things in the Big Brother house that she daughter, shouldn't watch. Bisola fell in love with fellow Thin Tall Tony in the house and was caught giving Thin Tall Tony mouth action. The mother of one then switched over to evicted Housemate, Bally even before Thin Tall Tony left the house and after TTT left she continued with the Kaduna-born, Music DJ. Bisola has also had several bitter arguments with Tboss from calling her 'White Witch' after Kemen was disqualified for touching Tboss without her consent to fighting on several occasions because she felt, she is very manipulative. 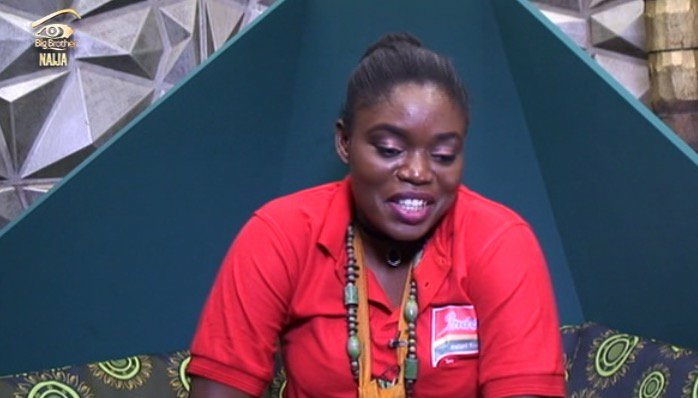 Bisola also said, other than jumping into conclusions about the kind of person she thought Tboss was, she has no regrets about what she has done in the Big Brother Naija House.